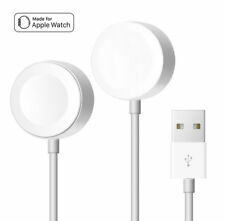 "Brand New and Quality Magnetic Wireless Charger Charging Cable for iWatch Apple Watch1 2 3 4 38mm&42mm Durable Magnetic Charging Dock -- With a good quality build, high temperature resistance and shock absorption. Perfect Length -- 3.3 feet Apple Watch charging cable allows easy connection and perfect compatibility. White Faux Leather Case W/ AZERTY Keyboard for Samsung Galaxy Tab A 10.1 (2016) poupina22(153). Can be used with any USB powered device (ipod, satnav etc). We don't include a micro or mini USB data cable with this product. Adapter Lightning auf Micro USB. Kompatibel zu: Apple. White Faux Leather Case W/ AZERTY Keyboard for Samsung Galaxy Tab A 10.1 (2016) poupina22(153). Compact design fits discreetly into the vehicle's 12v outlet. Sling Shoulder Case For Nikon D7100 D7200 D7000 D5300 D5200 D3300 D3200 D3100. 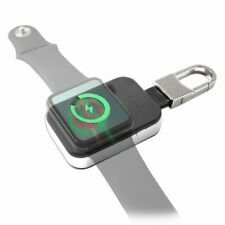 NEW Black Fin Keychain Power Bank for Apple Watch ! WOW ! DOES NOT INCLUDE BOX OR PAPERWORK. Liberty Pawn & Gold is owned and operated by Dave and Tammy Munsee. Dave is from Richmond and Tammy was born in Fredericksburg, VA. They have been married for 35 years and have a son that attended Fredericksburg Christian School, Riverbend High School and recently graduated from West Virginia University. Suitable: for iWatch 1/2/3/4. Compatible with all Apple Watch Models. Features: Portable, Safe, Magnetic, Fast Charging, Convenient. Size: 6cm x 3cm x 1cm/2.36" x 1.18" x 0.39" (Approx.). Material: ABS PC. 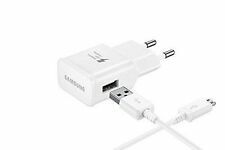 IMYMAX USB KFZ-Ladegerät für Handy (2in1) FCC MM-001. Batterien dürfen nicht über den Hausmüll entsorgt werden. Ausgangsspannung: 3,4A. Wir versuchen alle Nachrichten innerhalb von 24 Stunden zu bearbeiten. IWatch is NOT included. Compatible Models: for all 38mm, 42mm, 40mm, 44mm. 1M (3.3 feet) Apple Watch charging cable allows easy connection and perfect compatibility. For the magnetic charging dock, with a good quality build, high temperature resistance and shock absorption. Genuine Fitbit Blaze Charging Cable USB Charger NEW IN BOX !! Genuine Fitbit Blaze Charging Cable USB Charger NEW IN BOX !!. Condition is New. Shipped with USPS Priority Mail. Combines MagSafe technology with inductive charging. Simply hold the connector near the back of the Watch and magnets snap into place automatically. User Review Item Condition. Tested, very good condition and includes charging cable. Serial number may be recorded for security and fraud prevention. There is no local pickup due to our strict security policy. Makes charging your Apple Watch utterly effortless. Simply hold the connector near the back of the watch, where magnets cause it to snap into place automatically. Manufacturer Apple Computer. Item Weight 0.8 ounces. Condition is Used. Apple Watch 1st Generation. Apple Watch Series 3. Apple Watch Series 2. Key Features. In the unlikely event that you receive a defective item, we will replace it quibble free. Porsche Design Ladestation für das Mate RS. Nomad Charging Stand for Apple Watch ( Space Gray). Our loss, your gain. It has been verified to work as expected. The world of USB-C docks is confusing and you need to verify the the functionality you specifically need and the compatibility with your hardware/OS. Make sure you can live up to your fitness goals by keeping an extra Vivitar® Charging Cable for Fitbit™ Blaze™ handy at your desk or in your bag. 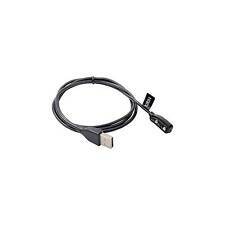 •Extra charging cable for your Fitbit Blaze. •Ensures you never run out of juice for your Blaze. The design of Forté was inspired by Apple Watch itself. Forté also matches the minimal design of the Watch. Perched atop this gorgeous stand, Watch appears as if it’s hovering gracefully in midair. (High-capacity 5200mAh Samsung®-sourced lithium-ion battery powers the L.E.D. Battery capacity : 5200mAh. Lampada Portatile. 3) entro poco tempo, il venditore riceve l'accredito sul suo conto corrente (il tempo varia da 2 a 4 gg - dipende dagli istituti di credito);. Open box in new condition. In addition, the compact nature of this Samsung Gear S3 wireless charging dock ensures you can take it anywhere. Designed for use with Samsung Gear S3 frontier. 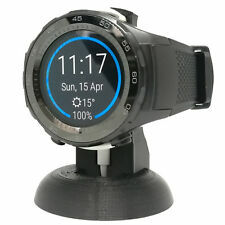 As well as Gear S3 classic smart watches. 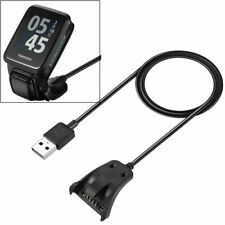 Genuine Garmin Charging Cable Charger Forerunner 405CX 405 410 910XT 310XT Watch. Condition is Used. Shipped with USPS First Class Package. Certifiée CE & RoHS. Crochet de fixation pour un maintien adéquat. Longueur 1m. Numéro de pièce fabricant DATA-FBC3. Charging cable still has protective plastic adhesive attached. Pictures are of the actual unit and only it and its manual are included in the sale. No software/driver discs, cables, mounting hardware, etc. are included unless pictured and/or described. In condition pictured. Brand new in factory sealed packaging!. IWatch is NOT included. 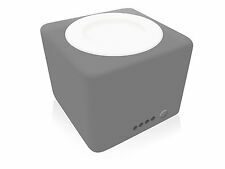 For the magnetic charging dock, with a good quality build, high temperature resistance and shock absorption. 1M (3.3 feet) Apple Watch charging cable allows easy connection and perfect compatibility. Einfach das Apple Watch auf die Powerbank ablegen und schon startet der Ladevorgang ohne weiteres Zutun. Legen Sie zum Beispiel einfach Ihre Apple Watch Series 4 auf diese Induktive Powerbank und der Ladevorgang beginnt.